Capers are a luxury in these parts … and I love capers. If I’m lucky I may find a small jar in a grocery store in town, but more often, I have to stock up on our infrequent visits to Johannesburg in South Africa, or Zambia’s capital, Lusaka, a mere six-hour drive from the farm. I was expressing my frustration at the unavailability of this most prized of ingredients to my sister-in-law, Elizabeth, who came to live in Zambia at about the same time as I did. I told her out of desperation I’d even tried to grow my own caper bushes, but so far, none of them had germinated. Had I tried nasturtium seedpods as a replacement? she asked. Nasturtium seedpods instead of capers? I’d never heard of them before. Outside, my garden was filled with nasturtiums, used as companion plants for my vegetables, as well as for their edible flowers prettying up my salads. Nasturtiums in our vegetable garden. Elizabeth donated my first batch of immature nasturtium seedpods with which to experiment. I brined them in salt water for three days, and then after draining and washing in cold water, transferred them into a vinegar mix for a further five days. You can find the recipe at the end of this post. They are delicious! The nasturtium seedpod is peppery and punchy like the caper, only slightly larger. What small variations there are between the two are of little consequence to me. I’m just delighted to discover that I grow the perfect substitute for an ingredient I use in many of my recipes. Thank you, Elizabeth! Nasturtium buds before being brined. The Latin term for the versatile nasturtium is nasus tortus, translated as “twisted nose.” That’s because, like its relatives mustard and garden cress, nasturtiums have a bite to them. The flowers make a flavorful and colorful addition to salads, while the young leaves can be turned into a bright green, pungent pesto. 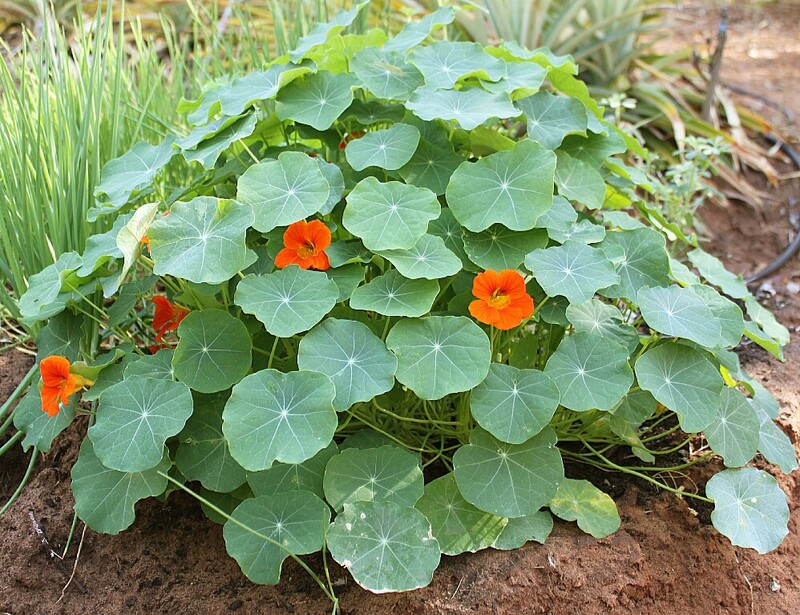 When you consider that nasturtiums are also packed with vitamins A, C and D, you know that this humble, hardy plant punches way above its weight. Edible nasturtium flowers and leaves. In the next post I will share with you my favorite potato salad recipe, inspired by a version in the award-winning Garden Cookbook by Sarah Raven. In it I use these nasturtium capers, spring onions from the garden, and my five-minute homemade mayonnaise. 1. Place the nasturtium seedpods into a suitable mason jar. 2. 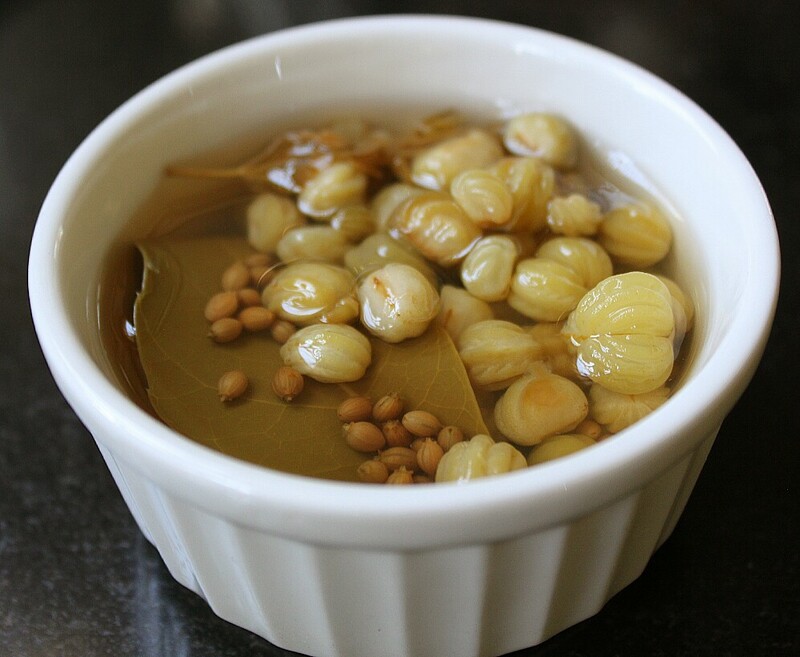 Bring the salt and water to a boil in a saucepan, then immediately pour over the seedpods. 4. Drain the seedpods, rinse them well, and then return to the jar. 5. Bring the vinegar, sugar, thyme, coriander seeds and bay leaves to a boil in a small heavy-based saucepan, and pour over the nasturtium seedpods. 6. Cool and then seal the jar, refrigerating for five days before using. 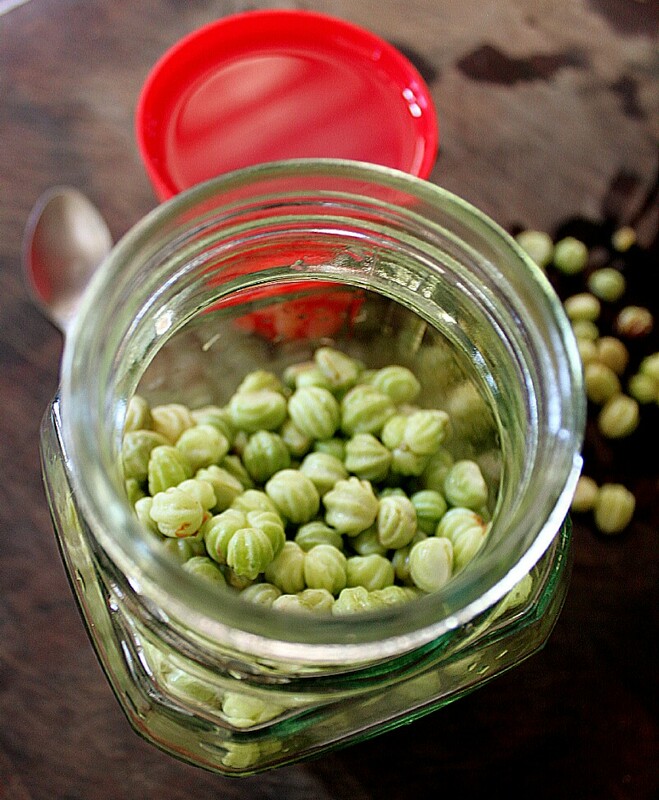 Note: These Nasturtium Capers should last for six months to a year if sealed properly and kept refrigerated. What an awesome substitute! ! I love nasturtiums – the leaves go very nicely in a tomato sandwich. Thank you, Carol! I just love learning about new ideas of using edible plants. I am definitely going to have to try that tomato sandwich as soon as our tomatoes have ripened. Yum! P.S. 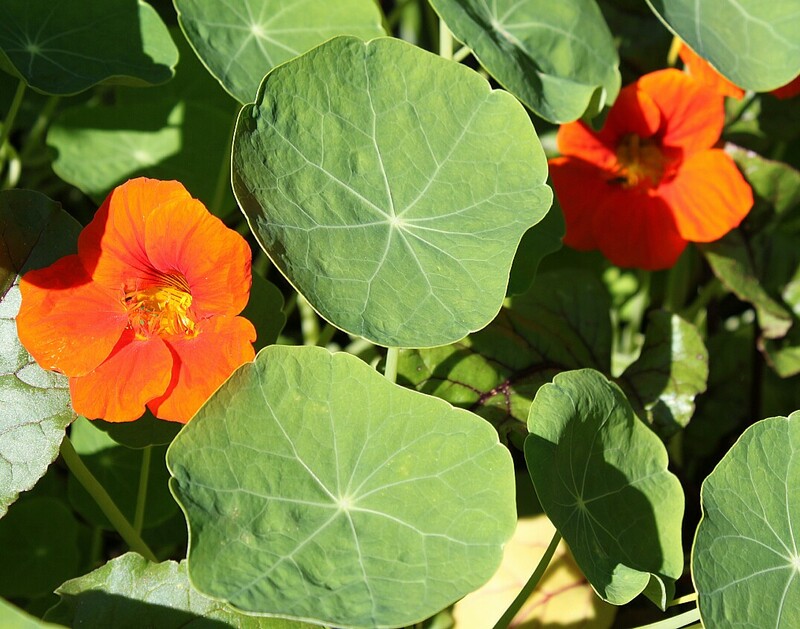 did you know that chewing nasturtium leaves can ease a sore throat? I did not! Another useful tidbit from you … thanks again! Yet again Annabel brings something new to the table. What a superb idea. Thank you, Pete, for your kind comment. It’s amazing how much you can do with all these plants! Thank you for these great suggestions, Annabel. I learn something new in every post! Now I only wish I had put in some nasturtiums this spring; sadly, my nasturtium-caper experiments will have to wait until next year.